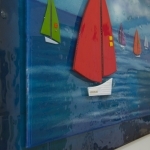 For those in the know, The House of Ugly Fish is the place to go for hand made, bespoke fused glass art. 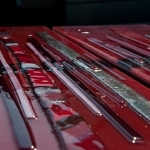 From their Manchester studios comes a dramatic collection of sumptuous works of glass art to enhance the home, garden and corporate environment. 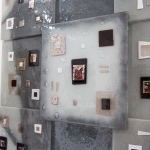 They offer a completely bespoke service and are able to make large fused glass pieces up to 1.8 x 2.6 metres. Splash backs for kitchens and bathrooms. The House of Ugly Fish exhibit all over the country and a list of their forthcoming exhibitions can be seen on this site. The name ‘The House of Ugly Fish’ has an unusual origin and comes from when Lisa was a freelance artist. Her family often teased her that she was like Toad of Toad Hall, she’d start something full of enthusiasm only to decide she didn’t like it and give up not long after. Lisa decided that to keep her focused on her new career she would paint under the name Lisa Villarospo which was the nearest she could get to ‘Toad of Toad Hall’ in Italian. One day Lisa’s Godfather asked “Why have you called yourself The House of Ugly Fish?” Lisa replied that she didn’t know that she had. It turns out that the Italian word ‘rospo’ means both ugly fish and toad. The conversation stuck with Lisa and thanks to her Godfather ‘The House of Ugly Fish’ was conceived. Born and bred in Manchester, England. Lisa is a Lancashire lass with an Italian heart. After a lifelong love affair with art, this hugely talented and creative artist broke into the world of commercial art. It has been a long time coming, but finally Lisa Villarospo is gaining the recognition she richly deserves. Her grounding is in fine art painting and she became well known for her original seascapes from 2000 onwards which have been the inspiration for many other artists producing similar work today. 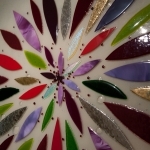 After an opportunity arose in 2005 to study fused glass art, Lisa honed her glass making skills and soon made her presence known. 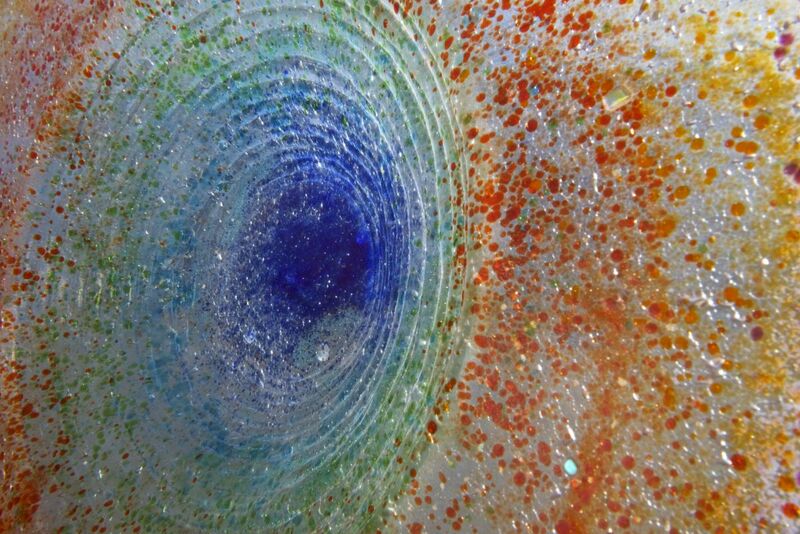 Being half Venetian, her love of Murano glass has influenced her greatly, as can be seen in the striking colours used in her own glass art. 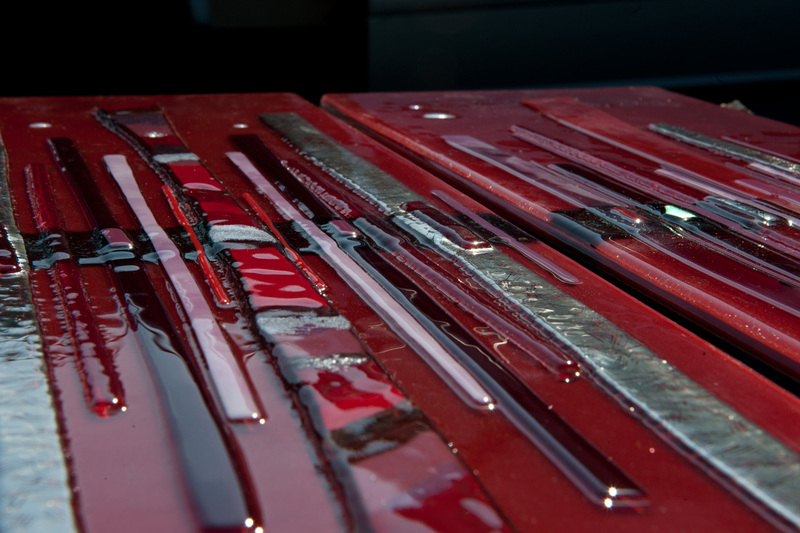 Many in the art world have regarded glass art as a craft. 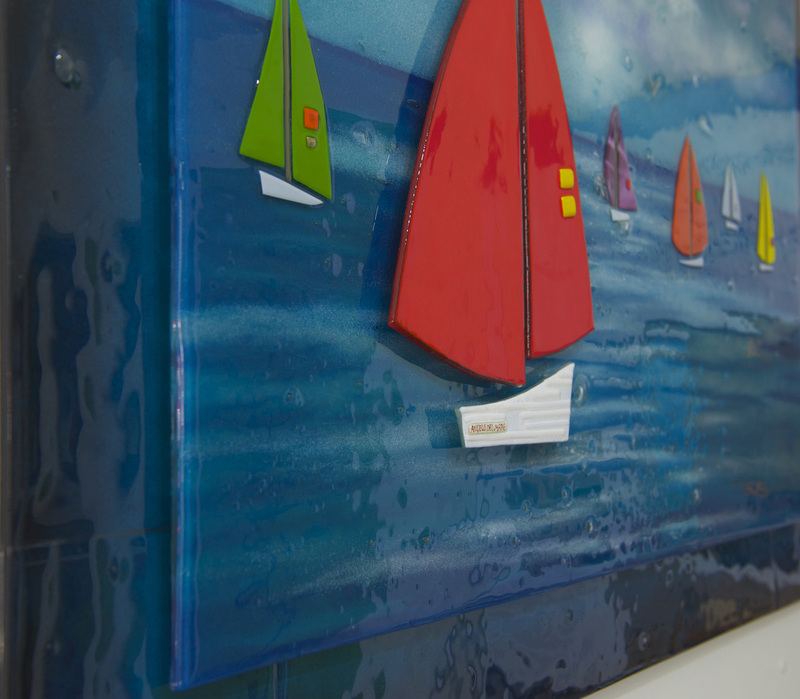 Together with The House of UglyFish, Lisa has transformed this perception and established a place for fused glass art alongside art on canvas and art in frames. It is now gaining popularity as original art. 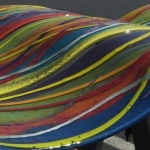 Her work has taken the world of glass making by storm and is being requested globally. 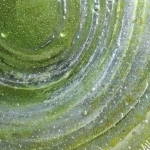 Her huge success is in being able to bring her fine art background to the fused glass art media. She is artistically mutable and can create many different genres in art from figurative to seascapes, fine art to abstract. Commissions range from private individuals to Hospitals and A-List celebrities. Much of her work ends up in the hands of private collectors. She is fast becoming one of the best glass artists in the world today. Her work with The House of Ugly Fish includes bespoke art for walls, kitchen splashbacks, pieces for bathrooms, swimming pool areas and spas. It can be seen in hotels, restaurants, hospitals and offices. 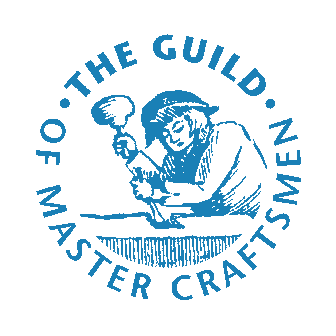 It has also been featured on TV programmes such as Grand Designs and House Gift. The Times newspaper and Homes and Gardens magazine have both run articles about Lisa and The House of Ugly Fish. 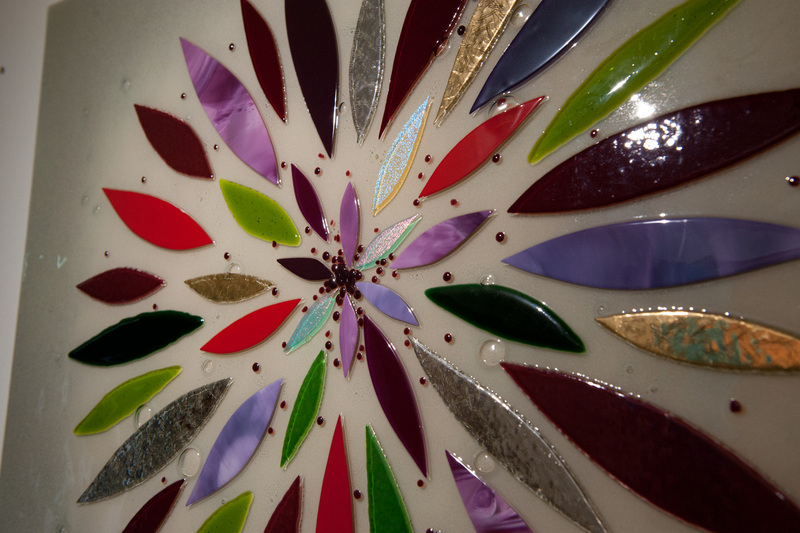 First and foremost, all of our glass art panels are handmade and bespoke. That means everything from the start of the process to the end is completely done using the skill of our artist. As such, no panel is ever the same as another. 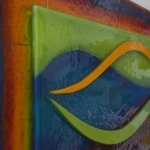 Texture, colours and shapes can change, and often we use textures to bring out certain areas of a panel, or to enhance the feeling of something. 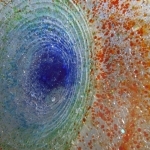 The textures of our glass panels are different and can often feel unusual to those who have not seen fused glass art before. 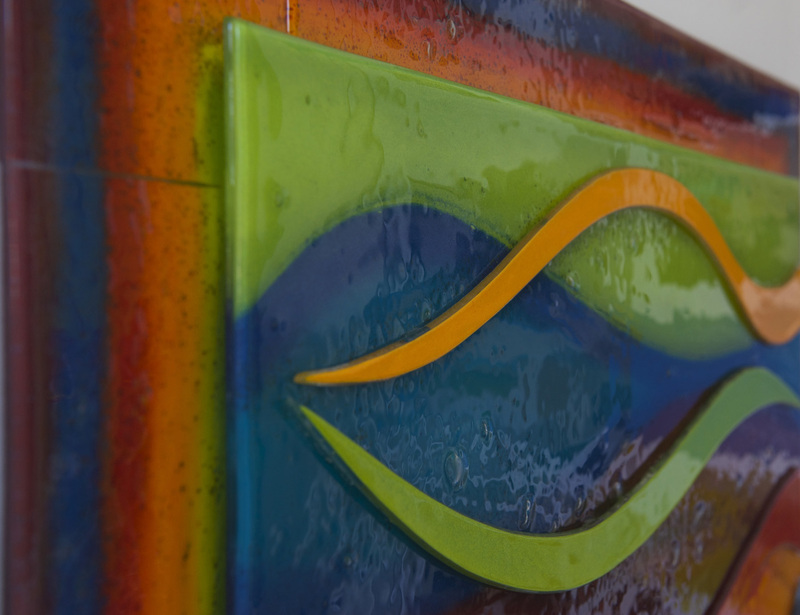 With a surface that can look deeper or rougher, we can easily create panels of different varieties that are pleasing to the eye. 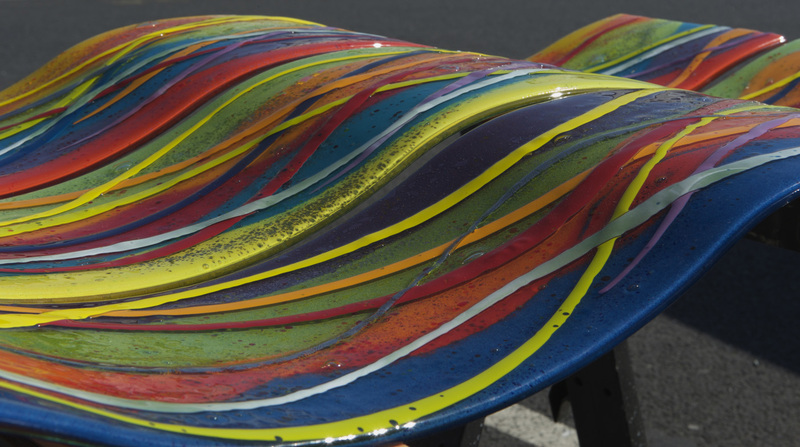 As our gallery below shows, we can create many different textures using various techniques. 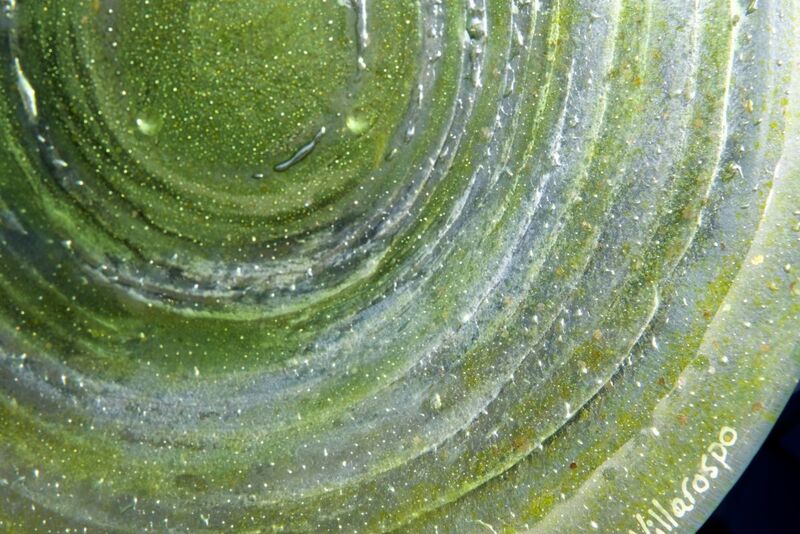 It should also be noted that images cannot fully capture the true look of our glass. Light reflections and differences in computer displays can often lead to our glass looking a little different to the panel in true life. 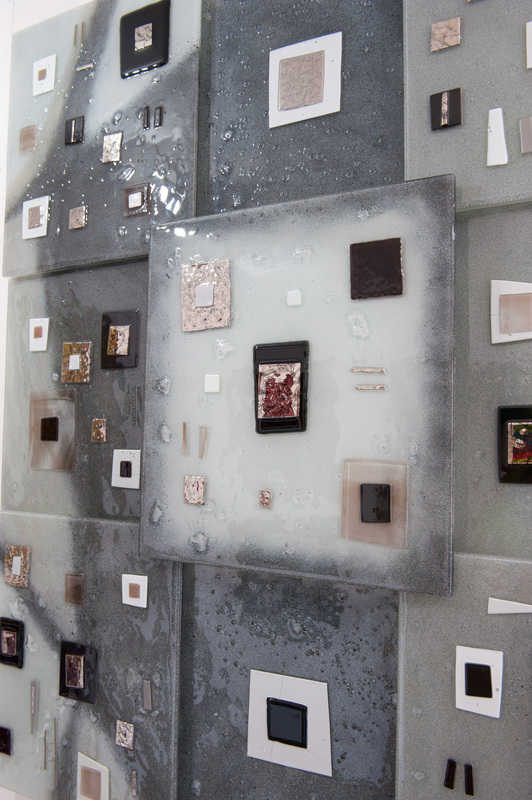 As such, we urge visitors to our site to understand that some of our glass may look somewhat different in real life. Please enter your details to join our mailing list, and receive news and updates from The House of Ugly Fish.